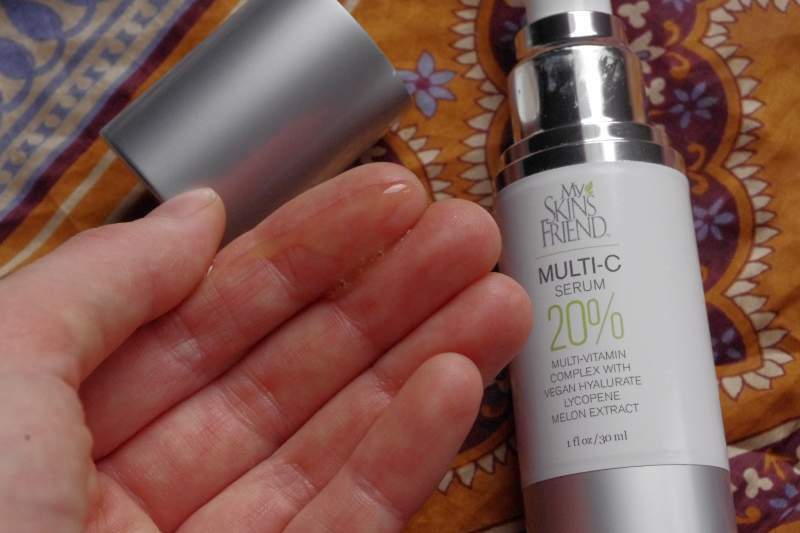 My Skin’s Friend makes the best vitamin C serum on the market. It is completely natural, vegan and plant based. There are no nasty preservatives in it and the packaging keeps the vitamins in the serum intact. They use the only proven form of vitamin C for topical application and are the only company to encapsulate it in phospholipids for maximum freshness. ​Disclosure: I received this product for free. I only publish reviews of products I love. There may be affiliate links below. Click here to learn more. My Skin’s Friend is a small company that believes in nourishing the skin will organic, non-toxic, non-gmo, chemical free products. They are very picky about where they source their raw ingredients and they go to the ends of the earth to find the best quality. Their products are hand-made in small batches in a small facility in Nashville Tennessee. Everything in thier collection starts out as organic and/or wild crafted vegetables, herbs, oils, nuts and berries. Even the water they use is special spring water from Arkansas. They stand behind the quality of their products by offering a no-questions-asked, money back guarantee on their products. 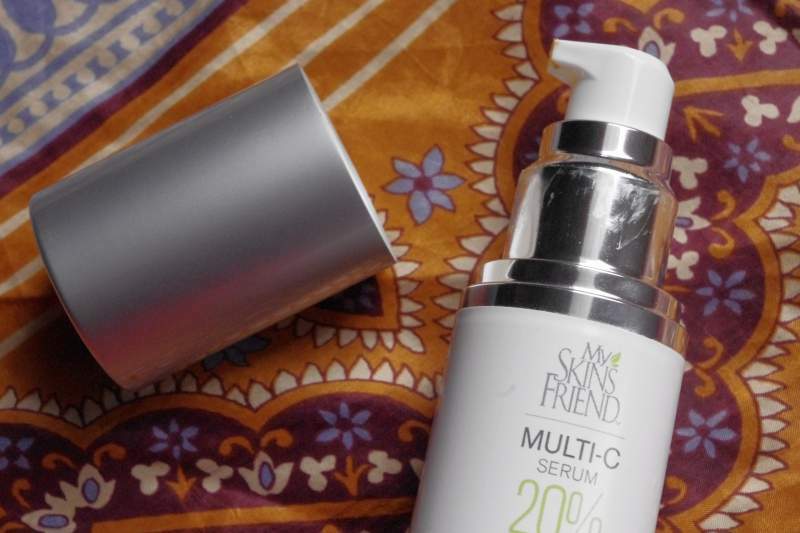 My Skin’s Friend gave me this product to review after I contacted them and let them know that I recommended them as the best organic Vitamin C serum. I choose them as the best because their ingredients list was clean and non-toxic and they didn’t use the same preservatives that other companies used. This vitamin C serum uses the most effective form of vitamin C for skin health (l-ascorbic acid), and is packaged in an air-tight, opaque pump bottle to ensure maximum freshness. They are the only company to encapsulate their vitamin C in phospholipids to keep it from oxidizing. The packaging is great, the pump works at dispensing a good amount of product. Used alone it does a pretty good job of moisturizing the skin, though I like to either layer my facial oil over top or mix the two together and apply at once. I didn’t find this serum to be irritating at all (some vitamin C serums can be harsh), though it did give my skin a bit of a colored glow. I like to use this serum at night, while my skin is doing its healing work. I have found that the lines in my skin are lessening and any brown spots I had are fading. Topical vitamin C really does work! This product smells like fruit juice. 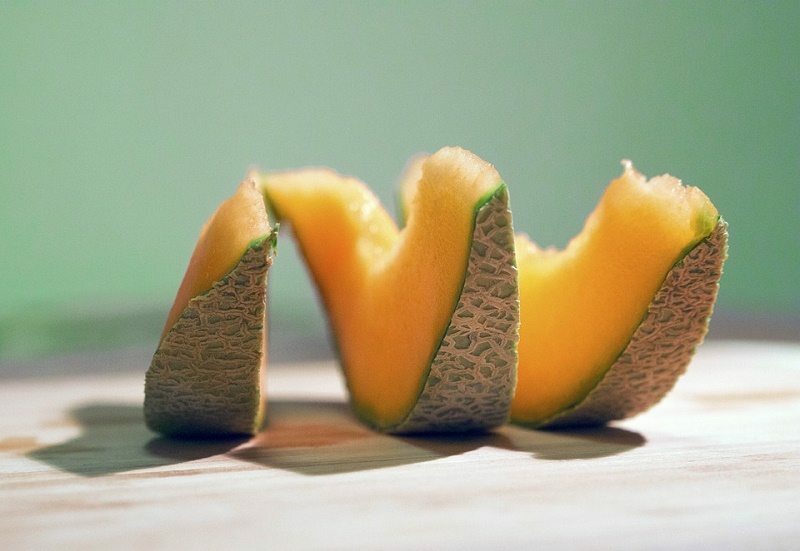 It has a melon-like scent. The texture is slightly watery. The scent lingers for awhile on your skin, but it is a nice smell so it doesn’t bother me. I like to mix this serum with my facial oil at night and apply it to my skin. I find the application easy, though I do feel it as a light film on my skin. It isn’t uncomfortable, but I don’t find that the serum completely absorbs. Raw Unpasteurized Kombucha, Vegan Food Extracted Polymer Gels, Organic Hand-Filleted Aloe Vera, Bio-Extracted Whole Food Vit C (L-ascorbic acid) Complex 20%, Vegan Hyalurate (water retaining molecules extracted from organic fruit and vegetable pulp), organic white oak distillate, adenosine enhanced fresh melon broth (watermelon, cantaloupe, honeydew), food extracted lycopene, full spectrum oil and water soluble Vitamin E-bio-extracted from sweet potatoes, foodsourced olyphenol anti-oxidants, plant sourced skin tightening peptide complexes, gotu kola, horsetail, MSM,vegetable glycerin, jojoba oil, grapefruit extract, fermented horseradish, organic phospholipids, omega 3 Fatty acids, food source vitamins (A, B6, B12, C, D, E and thiamin, riboflavin, folate, niacin, pantothenic acid, choline, betaine), food source minerals (calcium, iron, magnesium, copper, phosphorus,potassium, sodium, manganese, selenium). Micro-organisms in kombucha help keep the microflora of the skin balanced. This helps keep our skin healthy. Plumps and moisturizes the skin making it appear younger. Lycopene is a type of carotenoid that helps skin stay smooth and youthful. Ferulic acid is one of natures most powerful antioxidants. It works in synergy with vitamin C at combating free radical damage. L-Ascorbic acid is the ﻿best form of vitamin C﻿. This formula contains 20% – the ideal amount for maximum penetration. Vitamin C helps build collagen leading to firmer, plumper skin. A powerful antioxidant that reduces free radical damage, preventing fine lines and brown spots as well as helping to heal scars and wounds. It occurs naturally in our skin with levels declining as we age. Regular price is $69.99 but it is on often on sale at Amazon. This serum works well. It is an innovative product that strives to keep the potent ingredients intact for 12 months. It has helped my skin tone even out and has made some of my wrinkles diminish. Other vitamin C serums are packaged in glass dropper bottles. This is bad packaging for a vitamin C serum, as vitamin c rapidly oxidizes. My Skin’s Friend uses an opaque pump bottle to prevent air from getting into the product. 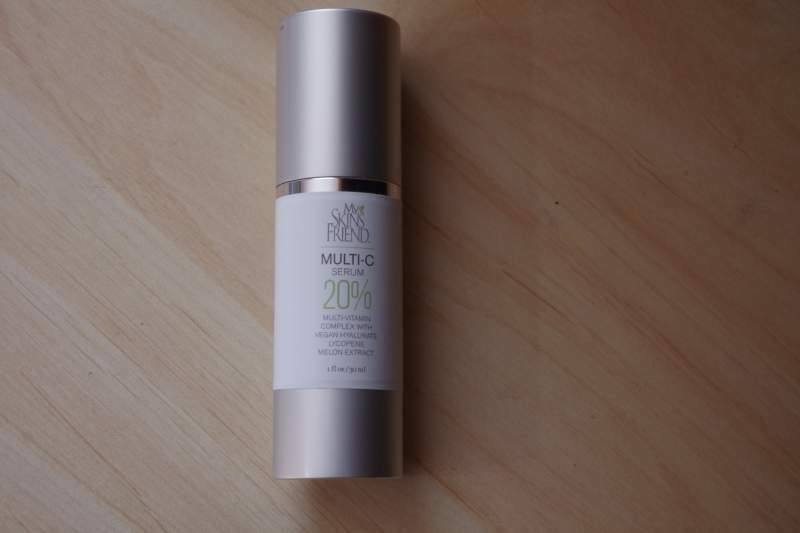 My Skin’s Friend uses naturally derived ingredients from plant sources. They are the only company to encapsulate their vitamin C so that it cannot oxidize. Many of the vitamin C serums available use ineffective forms of vitamin C such as magnesium ascorbyl phosphate or sodium ascorbyl phosphate. They also contain a controversial preservative called Phenoxyethanol. My Skins friend only uses l-ascorbic acid, the proven form of vitamin C for topical application. Their formula does not contain preservatives. This product is formulated to have a shelf life of up to 12 months. One bottle will last about one month when applied daily. I give this serum a 4.5/5 rating. I would have given it a 5/5 if it had better absorption. Company has excellent customer service. Feels like it leaves a film on my face and doesn’t fully absorb. I liked using this serum. I love that vitamin C has been proven to reduce the signs of aging. You can learn more about the proven benefits of topical vitamin C here. I recommend this serum to anyone wanting to try a vitamin C serum for themselves. The company is small and they strive to offer excellent customer service. The have a 100% money back guarantee and they answer all of the customer questions on Amazon. 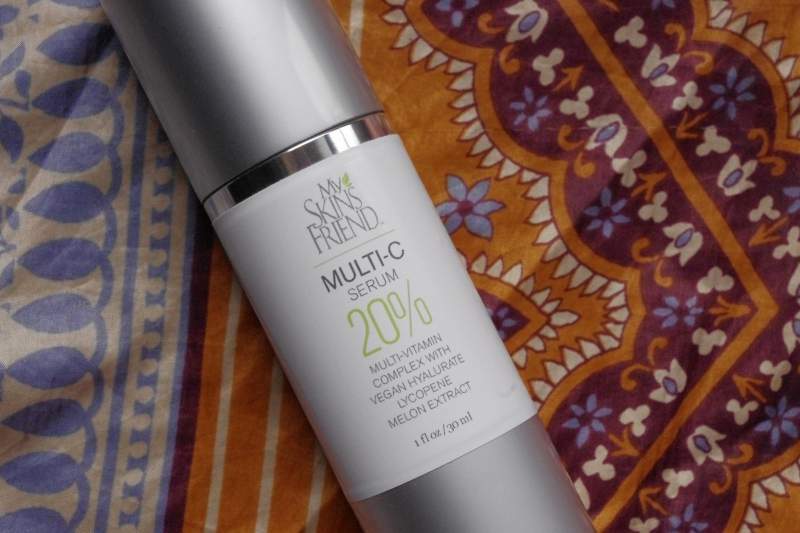 Please leave any questions you may have in the comments below  And Share this article with someone who could benefit from My Skin’s Friend Multi-C Serum! Hi, any idea what preservetive they use? From the ingredients list it looks like they use grapefruit extract and fermented horseradish as their preservatives. Hi Jessica, the TruSkin Naturals’ Vitamin C Serum looks like a pretty good vitamin C serum. It has good ingredients such as aloe and gotu kola. If you read my article on the best organic vitamin C serum, you will see that I talk a little about the preservative phenoxyethanol, which is in many vitamin C serums as a preservative. Some people do not trust this ingredient and choose to avoid it. My Skin’s Friend does not contain this preservative. Another difference is that the Truskin serum comes in a glass bottle with a dropper. This exposes the delicate vitamin C to light and air every time you open it. My Skin’s Friend comes in an opaque container with a pump dispenser. This prevents light and air from degrading the vitamin C before you can use the whole bottle of product. Truskin does not state what kind of vitamin C they use, which to me, is a big deciding factor on what product I decide to buy. Truskin uses basically the same formula as many other vitamin C serums on Amazon, if you search vitamin C serums and look at their ingredient list, you will see they are all generally the same. My Skin’s Friend is one of the only ones that is different. Even though Truskin is a best-seller, I have chosen to promote the product I feel is the best, and that is My Skin’s Friend. I hope that answers your question, let me know if you have anymore!